This is a question that should be easy to answer. It would have been easy to answer, if only Michael A. Taylor‘s left cleat hadn’t caught in the Fort Myers outfield turf during a game against the Minnesota Twins last week. Taylor will instead miss Opening Day and likely several weeks of the regular season as he recovers from a sprained knee and hip. 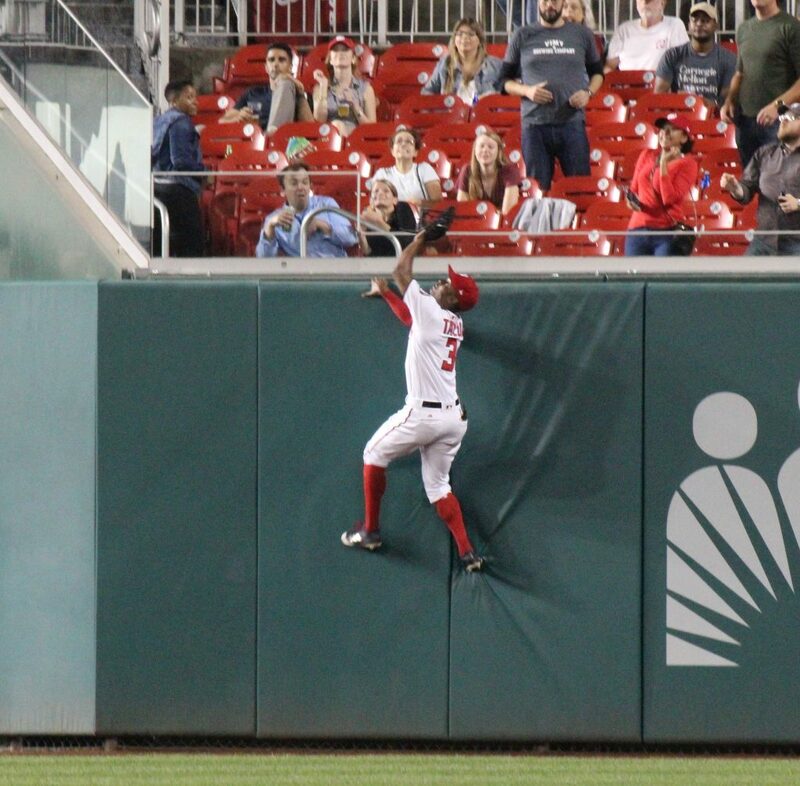 The Washington Nationals don’t have great outfield depth. It used to be a major strength, but with Judas Iscariot now patrolling right field for the division-rival Philadelphia Phillies and well-regarded outfield prospect Daniel Johnson raking with the Cleveland Indians this spring after the Yan Gomes trade, the Nats find themselves thin at the position, with prospects Telmito Agustin, Gage Canning, and Jeremy de la Rosa at least a year or two away and most of their depth at the high minors comprised of career minor leaguers and light-hitting veteran journeymen without much of a track record at the highest level. So it comes as no surprise at all to hear Mike Rizzo clearly identify the Nats’ fourth outfielder for now as Andrew Stevenson, a 2015 second-round draft pick who has seen limited action at the major league level over the past two seasons already. Stevenson won’t “wow” anyone, but he’s the clear top internal option, thanks mostly to his ability to play all three outfield positions and provide some value off the bench as a pinch-runner. His career batting numbers are not good, with an OPS below .700 even in the minor leagues, and he’s been below replacement level as a major leaguer thus far. 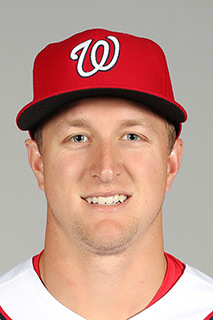 But given that the alternatives are the likes of Hunter Jones, Tyler Goeddel, and Collin Cowgill, the Nats understandably prefer the soon-to-be-25-year-old Stevenson. Not much can realistically be expected of Stevenson. Baseball-Reference projects him to be a .241/.675 hitter over 250 MLB plate appearances this season. None of the projection models used by Fangraphs are even that positive, with Steamer as the most bullish with a .247/.644 line. There are certainly better players out there, and likely even better players whom the Nats could acquire before Opening Day without giving up much at all. The question is whether, with both roster spots and salary space at a premium, general manager Mike Rizzo finds an available outfielder he likes enough, and decides that upgrading over Stevenson is important enough, to pull the trigger and relegate Stevenson back to a depth role in the minor leagues. The outfield market this offseason wasn’t spectacular to begin with, and the cupboard is pretty empty at this point. There are a few older veterans with track records in center field who remain unsigned (including an old friend), but none who grade out well in recent action at the position. Good enough to fill in when needed for a few weeks? Maybe. But the Nats rarely make short-term additions without thinking of the long-term, and it seems unlikely Rizzo will want to guarantee much in the way of salary to a player he expects to designate for assignment as soon as Taylor and injured utility-man Howie Kendrick are both ready to come off the injured list. That being said, it’s hard not to root for the Nats to reunite with Denard Span. Rizzo has already brought back two popular former Nats this offseason in the form of catcher Kurt Suzuki and backup first baseman Matt Adams. Span, the Nats’ starting center fielder (when he wasn’t hurt) from 2013 to 2015, turned 35 last month but can still swing it. He’s coming off a .261/.760 season split between the Seattle Mariners and the Tampa Bay Rays. He also knows Nationals Park’s outfield dimensions very well and would have instant cachet in the clubhouse as a former player and respected veteran leader. But Span comes with downsides as well. Neither the M’s nor the Rays saw fit to put him in center field last year (he got all of one inning at the position he used to play every day), a reflection of his deteriorating defensive ratings. In 2017 with the San Francisco Giants, Span cost the team an estimated 27 runs below average, with Fangraphs giving him a -7.9 UZR. He’s never had the greatest arm strength, either, which means that if he can’t play center anymore, he’s probably limited to left field unless there’s an emergency. That lack of positional versatility would put Span on the chopping block if the outfield gets whole, and bringing back a beloved former Nat only to DFA him after a few weeks would seem like an awfully cold move that could play poorly in the clubhouse and with fans. Beyond that, there’s practical considerations, too: The Grapefruit League is already winding down, and how fast it will take Span to ramp up into game condition is unknown. That’s less than ideal when you’re shopping for a March/April stopgap anyway. Austin Jackson is still out there, too. 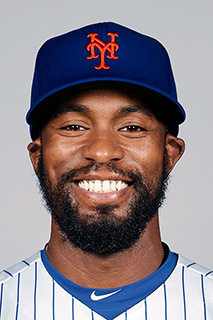 Unlike Span, Jackson actually played center field last season, which he split between the Giants and New York Mets. But Jackson, coming off a .318/.869 season as the Cleveland Indians’ fourth outfielder in 2017 that made him look like a pretty good bet, came back to Earth with a .245/.624 combined line that doesn’t really represent an upgrade over what Stevenson can likely provide with the bat. And Jackson, 32 last month, isn’t close to Stevenson as a defender at this point in his career. Baseball-Reference estimates he was worth 15 runs below average to the Giants and Mets, while his -9.9 UZR is a big flashing “do not play in center field” sign, for those who put value on such things. Jackson carries some of the same downside as Span while providing less of an offensive presence. Rizzo might find it easier to cut ties with him once he’s no longer needed, but like Span, Jackson has gone unsigned up until now, meaning that having him ready to break camp with the major league time seems wildly optimistic. In short, he doesn’t look like a great option for the Nats. On paper, Jackson at least looks better than the third free agent center fielder out there, Chris Young. Once an All-Star, Young’s 2010 campaign with the Arizona Diamondbacks is now nearly a decade in the rear-view mirror, and the 35-year-old hasn’t been a productive hitter since a solid 2016 campaign as a reserve outfielder for the Boston Red Sox. 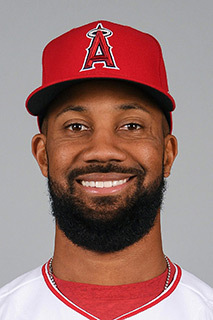 Over 56 games with the Los Angeles Angels last year, Young scuffled to a .168/.615 slash line. It’s not unfair to wonder whether Young is done, considering he’s been a replacement-level player over his past three seasons combined and…stop me if you’ve heard this one before…his outfield defense has declined. It’s not all bad for Young. Fangraphs still gives him a negative UZR for his work last season, but he’s only slightly negative in center field (-0.4) relative to Span and Jackson’s recent body of work, albeit over a smaller sample size. Young would likely be the cheapest of the three if he’s still interested in playing, and it may even be plausible that he could be passed through waivers and outrighted to Triple-A Fresno to continue functioning as a depth piece for the Nats once he’s no longer needed on the major league roster. But like Span and Jackson, he’s gone unsigned up until now, and it’s unclear how long it would take for him to get game-ready. Again, it’s just not an ideal scenario. Final cuts are looming as the end of spring training nears. Every MLB team will have to make cuts, and many of them will cut a player or two from their major league roster, not just non-roster invitees who won’t break camp with the team. The Nats are no exception, and unless there’s some kind of emergency or a deal is struck in the meantime, they will DFA former top catching prospect Pedro Severino as they set their 25-man roster. Severino is out of options, so the Nats will have to expose him to waivers in order to send him to the minor leagues. Many other fringe major leaguers will hit the waiver wire — and in some cases, the open market, as they reject outright assignment or are released from minor league deals — over the next ten days. Jake Smolinski is looking like a tough late cut for the Tampa Bay Rays. Once considered a promising young outfielder — he was originally a second-round draft pick of the Nats — Smolinski has battled through injuries and struggled to return to form after undergoing shoulder surgery in 2017. 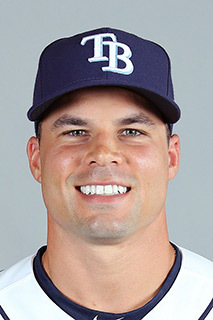 Since turning 30 last month, Smolinski has hit well in the Rays’ spring camp, but probably not well enough to force his way onto the Rays’ bench, and he’s out of options and likely to be sent to the minors to start the season. It’s unclear whether Smolinski can opt out of his contract if he doesn’t make the team. But if he’s available, a former high draft pick of the Nats who plays center field well could be a welcome option for Mike Rizzo. The problem is Smolinski’s bat, which has never quite lived up to that second-round pedigree in his time with the Texas Rangers and Oakland Athletics; his last season as an above-average hitter at the Triple-A level came in 2015, before the injury bug started to bite. The main advantage to picking up Smolinski would be to let the Nats stash Stevenson in the minors, essentially adding one more layer to an outfield depth chart that looks mighty scarce. Also on the bubble and also in the American League is Michael Reed. The 26-year-old righty hitter has bounced around a bit, and he played in just seven games last season at the major league level, all with the Atlanta Braves. Reed turned some heads with an explosive .342/.972 batting line across the high minors in the Atlanta organization, but the Braves evidently weren’t sold on his upside, as they waived him at the end of October and let him go to the Minnesota Twins. The Twins aren’t projected to carry Reed on their roster, either, and it appears he’ll be on the waiver wire again very soon. Reed has had some back issues this spring, although he returned to action last week. He’s still played in just five games to date, so he’s likely a little behind some of the other guys on this list, albeit ahead of the free agents. The interesting thing about Reed is how similarly he profiles to Matt den Dekker, for whom the Nats traded at the end of spring training in 2015 when their outfield depth had taken some hits. Unlike den Dekker that year, Reed is out of options, and he’s a righty while den Dekker hit from the left side; but den Dekker was 27 when the Nats acquired him, had a little experience in the majors but not a lot, and went on to be a worthwhile pickup that season, although he regressed in 2016 and ultimately lost his roster spot. For a fill-in, though, all Reed would need to do is present a better alternative to Stevenson. He may not be a fit for the Braves or Twins, but he could be a fit for the Nats, if nobody else claims him first. 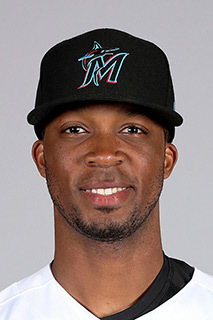 And while the idea of picking up a castoff from the lowly Miami Marlins seems a strange one, the Nats may have a similar opportunity with Rosell Herrera, an out-of-options utility-man whom the Fish claimed off waivers from the Kansas City Royals this winter but don’t appear to have a ready-made roster spot to carry into the season. 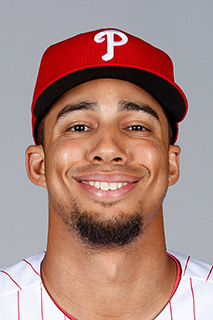 Herrera is a 26-year-old switch-hitter who can play infield and outfield positions, including center field, and put up a strong .270/.849 slash line across Triple-A teams in both the Reds and Royals organizations last year. He doesn’t strike out a lot, but he doesn’t walk much, either, and he has little power. He also played in 86 major league games with the Reds and Royals and only hit .234/.602, so that’s why he is available. All the same, there seems to be some real upside with Herrera, who can be plugged in all over the diamond and has shown flashes of hitting potential in the minors. The big question is whether the Nats, who are trying to contend in a very competitive division this season, are really a team that has time to let Herrera develop in a bench role. On the one hand, Rizzo can look at his light-hitting bench options right now — Stevenson, Wilmer Difo, Adrian Sanchez — and say, “Well, it’s not like he’ll be worse.” And on the other hand, he can look at what he’s got and what Herrera offers and say, “What does this guy bring to the table that I don’t already have?” It will be interesting to see where Herrera ends up, at any rate, and whether he can make good on his potential. The Nats could take advantage of another division rival’s roster crunch and take a chance on Aaron Altherr. After shedding 100 points off his batting average for no apparent reason from 2017 to 2018, Altherr can be fairly characterized as an enigma. He looked like an under-the-radar star in the making when he hit .272/.856 in 2017, but then he hit .181/.628 and now looks like a possible DFA for the Phillies before Opening Day comes around, as he battles veteran Shane Robinson for a bench spot. If the Phillies cut ties with Altherr, Rizzo may find some poetic justice in taking Philadelphia’s former right fielder and refashioning him into a contributor for the Nats. Of course, there’s no guarantee Altherr can recapture his 2017 form, and he could end up a DFA himself once Taylor and Kendrick are back to full health. But at 28, the 6-foot-5 righty could end up being found money if the Phillies let him go and he blossoms elsewhere. There are worse risks one can take. 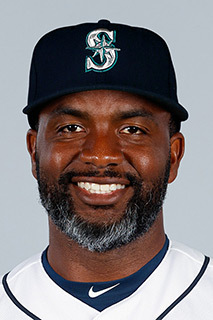 The Nats may also have an opportunity to reunite with old friend Brian Goodwin. 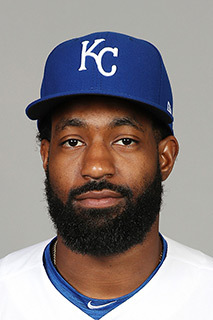 Traded to the Kansas City Royals in a space-clearing move last summer, Goodwin could be on the outside looking in again this spring, as he’s struggled mightily in spring training even as he faces roster pressure from former top prospect Bubba Starling. Starling has never hit much at the Triple-A level, but the 26-year-old is out of options, and unlike Goodwin, he’s been lighting it up this spring. Almost assuredly, one of them will be available via trade or the waiver wire before Opening Day. Goodwin is a known quantity for the Nats, and he had some good moments with the team that drafted him, including a strong showing when he filled in for an injured Taylor before, back in 2017. Unfortunately, his departure might not have come on the best of terms, as Goodwin was vocal about wanting to start during 2018 spring training and the Nats were quick to fence him to Kansas City when they had a numbers crunch in July. If the Nats are confident that Goodwin won’t bring bad vibes in a return to the clubhouse, he could be a good pickup for them even coming off a .239/.708 season. After all, his OPS was more than 100 points higher than that in 2017, and he is still only 28. 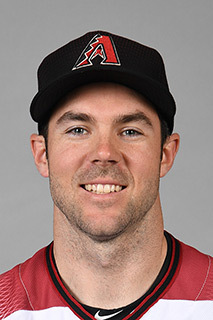 Matt Szczur appears unlikely to make the Diamondbacks’ Opening Day roster as a non-roster outfielder. The 29-year-old spent his whole career in the National League between the Cubs and San Diego Padres, so the Nats are familiar with him. They’re also familiar with his light hitting. Szczur has very little power, but historically, he hasn’t struck out much. That changed last year, as his K rate soared amid a pitiful .187/.532 offensive showing in 57 games for the Padres. What Szczur gives you is a good defensive option in center field, still on the right side of 30, who can potentially be a pest from the right side of the plate. But Szczur has been a below-replacement-level player in his time in the major leagues, and he lacks Stevenson’s speed versatility to give the Nats an extra reason to put him into a game. He’s having a lousy spring training, and although he reportedly has a pair of opt-outs built into his minor league contract, he might decide it’s safer to try to rebuild his value by doing his time at Triple-A Reno for a while. 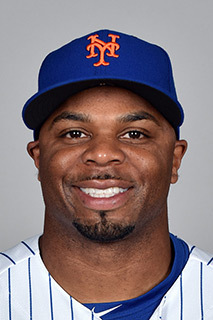 The Mets signed 38-year-old Rajai Davis to a minor league contract and invited him to spring training. But Davis, despite a strong showing in Grapefruit League play, looks unlikely to make the major league roster. The terms of his contract aren’t known, but as a veteran player, Davis almost certainly has an opt-out date or two. He will likely be available. Davis was available on a minor league deal this winter because of his abysmal .224/.559 slash line over 101 games with the Cleveland Indians last year. Time flies in baseball, as Davis was nearly a World Series hero just two and a half years ago when he hit a laser-beam home run off Aroldis Chapman to tie Game 7, only to watch the Cubs rally to win in extra innings. He carries that experience, but the question is whether he has anything left. Even in 2016, he couldn’t manage a .700 OPS. Davis does still rate as a roughly average center fielder, so the Nats could feel OK about running him out there, at least. The Nats are more familiar with Peter Bourjos, who is vying for a spot on the Los Angeles Angels’ bench and turning in a very strong spring showing. If Bourjos doesn’t make the team, he’ll likely be able to test the free agent market. 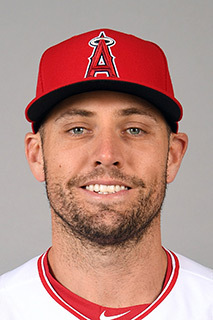 Bourjos, 32 this month, is one of those guys who has managed to hang around MLB for years without ever looking like an above-average hitter. Most recently, he contributed a meager .205/.603 batting line over 36 games with the Atlanta Braves last year. The reason Bourjos has been able to play in The Show for so long despite a weak bat is that he is an outstanding defender at all three outfield positions. A natural center fielder, Bourjos can track down and catch balls that would elude nearly any other player. He certainly has Stevenson beat for experience and offers a stronger all-around defensive package. But the Braves couldn’t stomach his weak bat and ultimately dumped him midway through the season. Now, that was Bourjos’ worst offensive season to date, but he’s only cracked the .700 OPS mark twice in nine major league campaigns, so if the Angels let him go and the Nats pick him up, it won’t be because Rizzo expects him to significantly out-hit Stevenson. 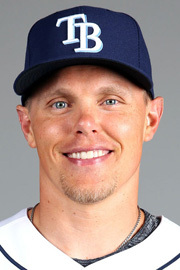 It’s also uncertain if Brandon Guyer will make the team with the Chicago White Sox. Guyer has always been known as a platoon righty who clubs left-handed pitching, but he closed out his tenure in Cleveland with a .220/.663 slash line over the past couple seasons. Although he has experience in center field, he didn’t play it much with the Tribe. 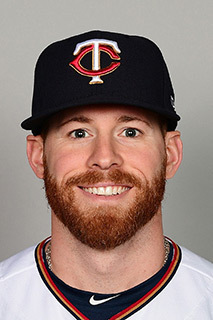 Now 33, he is hoping to break camp with the South Siders as their backup outfielder, but he faces some competition for the job and could end up hitting the market before the month is out. Although he was useless against right-handers last year, Guyer still put up an .804 OPS against lefties, which could make him attractive for a team that will likely be asking its fourth outfielder to spell lefty right fielder Adam Eaton most of the time. He’s having a good spring training, too, which may decrease his odds of being available. If the Nats can get him, he might appeal to Rizzo as a role player who could carve out a niche and present the “good problem to have” of being a productive member of the team even once Taylor is healthy. Of course, he could also hit .200 and look awful in center field. Guyer is as high-risk, high-reward a player as you’ll find on this list. This entry was posted in Analysis, SpringTraining, Taylor. Bookmark the permalink.